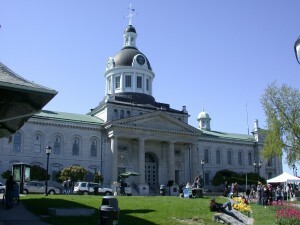 Incredible Kingston – All about Canada's first capital city. All about Canada's first capital city. Incredible Kingston; Kingston Ontario, Canada’s first capital city is rich in historical sites and buildings. Why would anyone want to visit, let alone live in, incredible Kingston Ontario Canada? The better question may be why would anyone not want to? Kingston has big city services, a small town feel, and a downtown waterfront on one of the largest freshwater lakes in the world. Our incredible Kingston is the gateway to the St. Lawrence Seaway, is minutes from the beginning of the world famous 1000 Islands, and is typically less than 3o minutes away from the lakes of cottage country. Kingston has a lively, visitor welcoming, downtown core. Within 6 blocks of the corner of Princess Street and Ontario Street in downtown Kingston there are galleries, theaters, unique shopping and national brand outlets, and around 100 pubs and restaurants ready to welcome resident and visitor alike. Kingston has a strong arts community and an excellent school system. This includes being home to world renowned Queen’s University and St. Lawrence College, among other learning facilities. Why not wander this website to see some of our amazing Kingston before you visit? Incredible Kingston – Ontario, Canada. Worthwhile visiting. Worthwhile staying.